As you are about to see, the Blade of V933 truly is an ultra micro heli experience unlike any other. 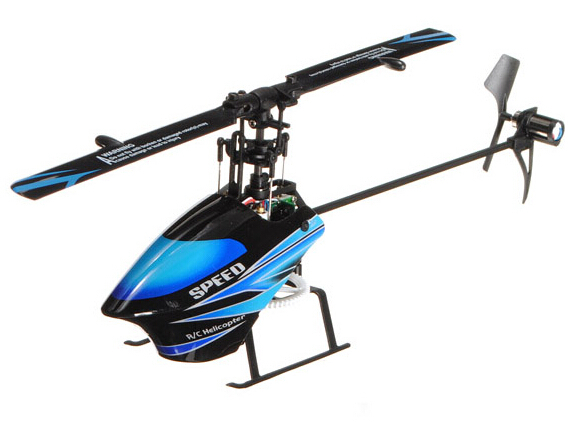 Its advanced flybarless design reduces drag on the rotor head and more importantly, under the precision in the three- axis gyroscope complement of self-control it greatly increases stability of the body. This, combined with its exceptionally lightweight airframe, delivers a level of power and responsiveness that eclipses that of any ultra micro heli you have flown before. Inverted flight, loops, lips, rolls, funnels, wash pot- the V933 can do it all,indoors or out, with power to spare. If you're transitioninq from a basic CCPM or fixed-pitched heli, you'll find the V933 is a great way to get used to flying more agile CCPM helis without having to invest a lot in expensive equipment or repairs. There will have some noise after you plug the battery on the helicopter,that a nomal phenomenon,It's nothing wrong with the helicopter.